It was common knowledge during the first half of the twentieth century that animal cells grew indefinitely. In 1912, Alexis Carrel, a French-born Nobel Prize-winning surgeon at Rockefeller Institute, started an experiment in which chick heart cells growing in culture continued to be viable for thirty-four years. The dream of immortal cells ended in 1961 when Leonard Hayflick, an American cell biologist then at the Wistar Institute in Philadelphia, showed that most human cells have a natural limit of reproducing forty to sixty times before senescence occurs and they die; this has been called the Hayflick limit. (The immortality of Carrel’s cells has been attributed to the possible inadvertent addition of fresh cells.) Some cells—such as human ova and sperm or cells of perennial plants, sponges, lobsters, hydra, and cancer—are immortal and, barring being killed, can divide indefinitely. What accounts for these differences? Chromosomes containing DNA are located in the nucleus of each of our cells. At the tip of the spindle-shaped chromosome is a cap or telomere that keeps the ends of chromosomes from sticking to one another and prevents individual strands of DNA from linking. But telomeres have another function: cellular aging. Telomeres have been likened to cellular clocks that set the rate at which cells age and die. Each time a normal cell undergoes mitosis (cell division), its telomere shortens a bit and, when it become sufficiently short, the cell dies. Limiting the number of cell divisions may be beneficial by protecting the cell from developing cancer. By contrast, cancer cells grow telomeres after each division, and this has been attributed to the activity of the enzyme telomerase; normal human cells also have telomerase, but the gene responsible for its activity is suppressed. There are several fascinating implications but, to date, none have been actualized. Potential anticancer drugs are being tested that act by preventing cancer cells from producing telomerase. Conversely, activation of telomerase might be used as an anti-aging treatment—a modern-day fountain of youth—or given to treat conditions associated with premature aging, but this benefit may carry the increased risk of tumor development. 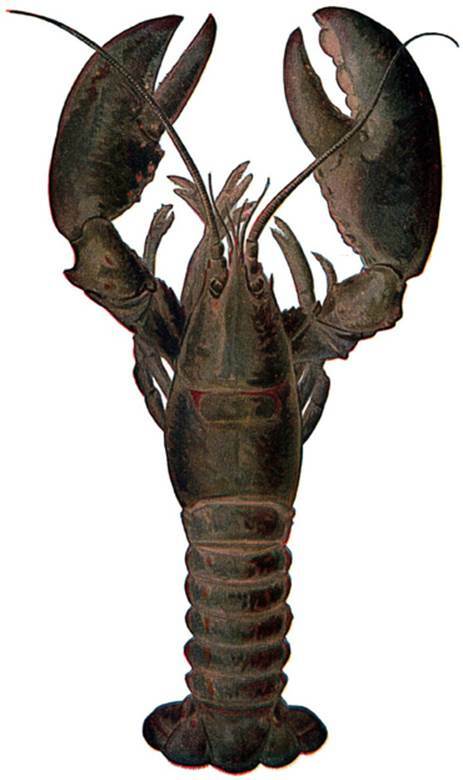 Lobsters have been estimated to live up to 60 years of age, continuing to grow throughout their lifetime without weakening or becoming less fertile. Rather than imbibing the “Fountain of Youth,” their longevity has been attributed to their ability to produce telomerase throughout adulthood.